The backdrop of the Sydney Opera House (SOH) is popular for bridal photographs. Popular vantage points include a small area in front of the Park Hyatt Hotel and the footpath under the Harbour Bridge. 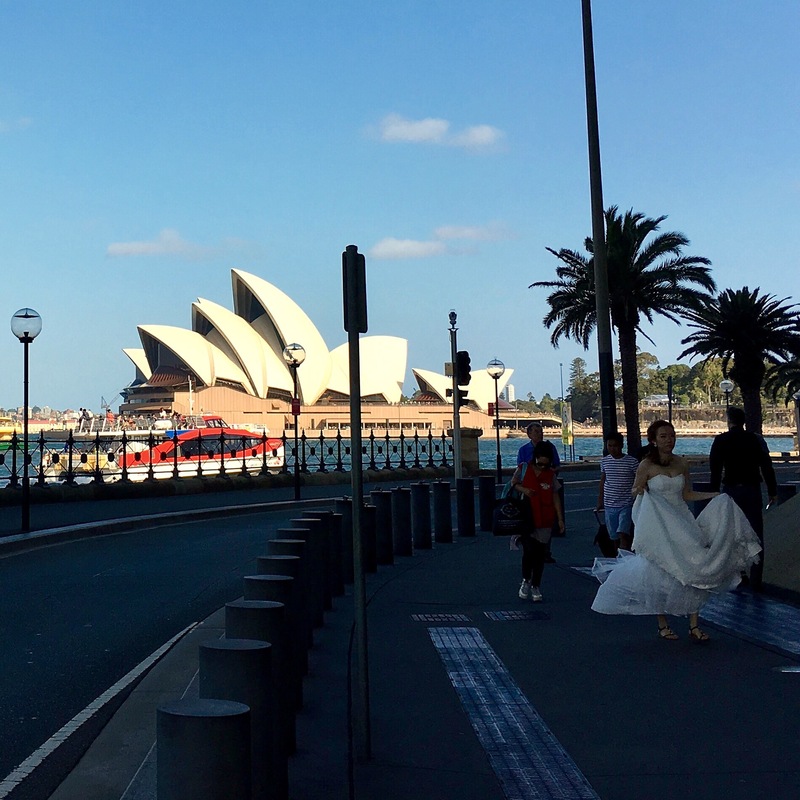 This scene with the SOH in the background and a bride en route to a shoot is commonplace when the weather is fine. I miss Sydney. I need to come back. Urspo may be coming this year, perhaps we could arrange a meet up in Sydney! Like the bride with the awesome SOH in the background. Every trip we took to anywhere in Europe we brought home a photo of a bride and groom. It became a kind of talisman thing. Nice memories this evoked and I always love photos of the SOH. Being married to an architect has given me a much greater appreciation of the Art in Architecture. The SOH stands out in my opinion as one of the best. I am pleased the post reminded you of happy memories. SOH is one of my favourites too, I never grow tired of admiring its graceful lines.